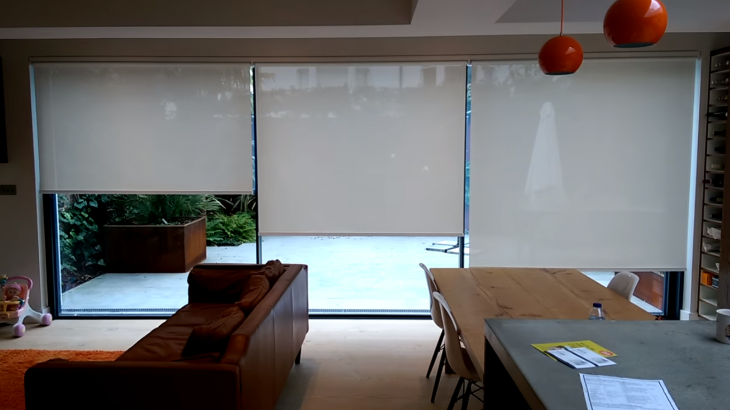 Louvolite System 40 open cassette roller blinds powered by Somfy Sonesse 30 24vdc motors. 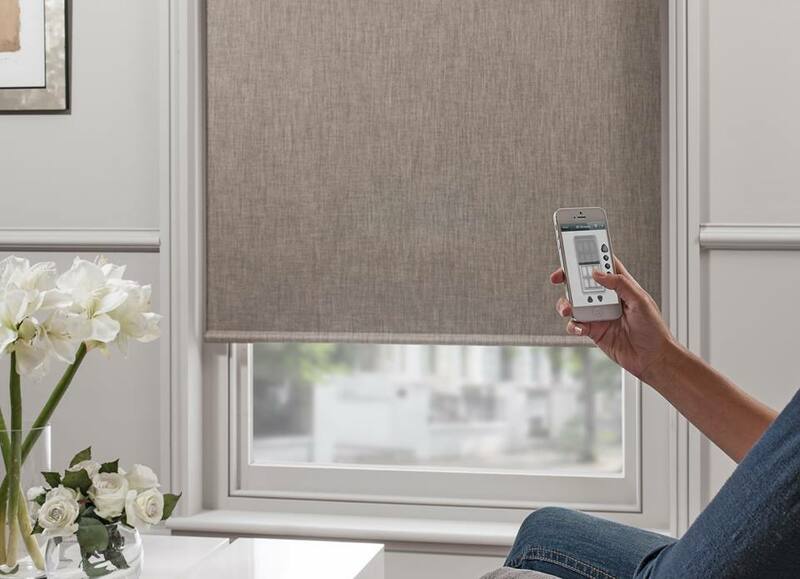 The blinds have Louvolites Perspective fabric to give protection while still allowing a view outside. 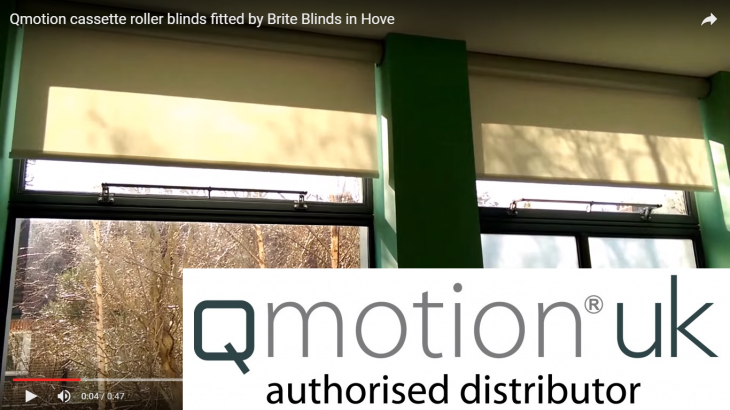 Brite blinds recently fitted six recessed battery powered roller blinds in Hove. 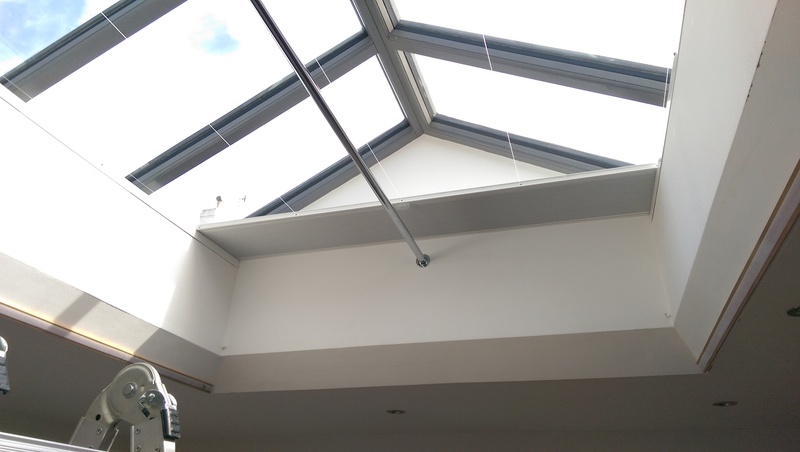 Louvolites lithium battery motors where selected for their small size, competitive pricing and lack of external battery. 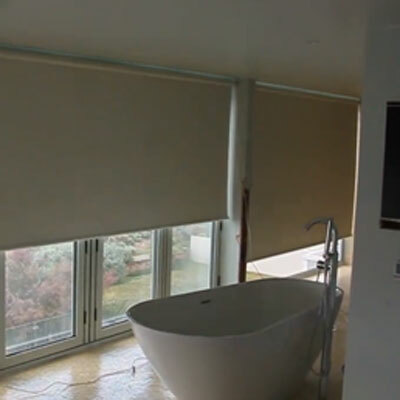 Brite Blinds Ltd fitted three large motorized roller blinds to a property in Shoreham Beach in Sussex. 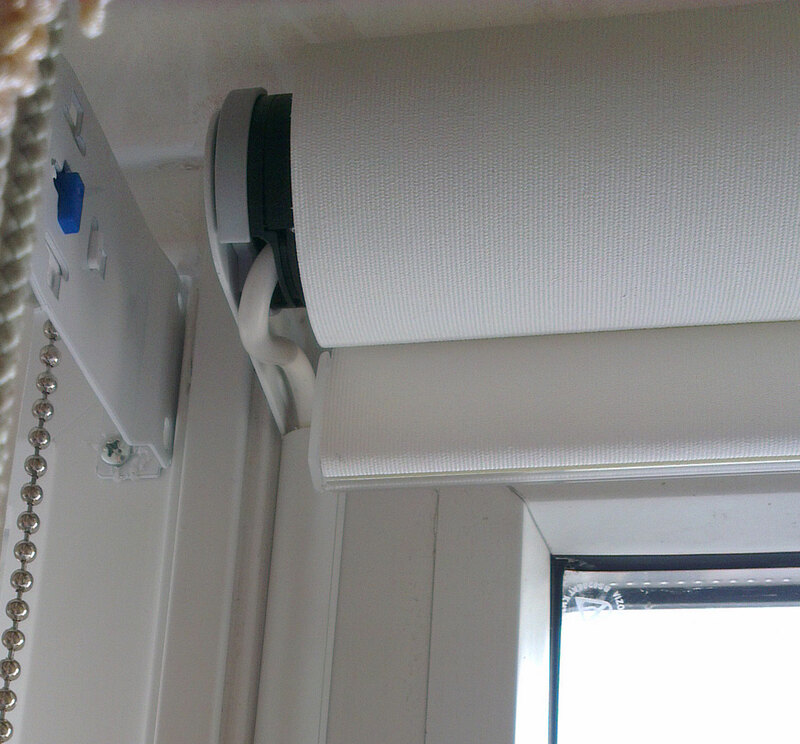 The blinds are powered by Somfy Sonesse 40 motors and controlled with a multi channel remote control.